We’re not planning a party this year, but the National Library of Medicine turns 180 years old in 2016. From our beginning in 1836 as a few leather-bound books in the library of the US Army Surgeon General’s office, we became the world’s largest biomedical library. We’re so large that as of today, our most popular database—PubMed—has had more than 244 billion page views since January 1, 2016. 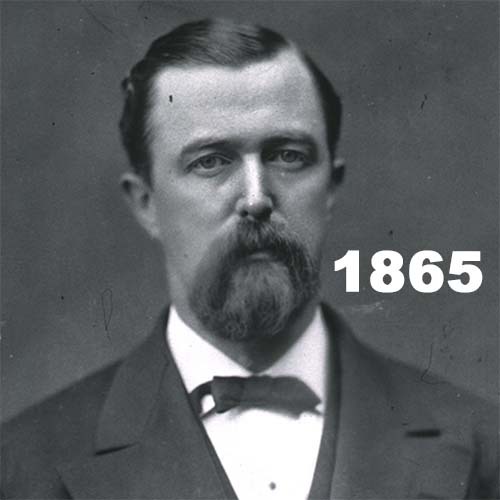 You can read more about our history, see how we celebrated our 175th anniversary, and glimpse our promising future. Soon, we’ll be posting information about a strategic plan to lay the groundwork for our third century. Even though we’re not serving birthday cake this year, we’re still proud of our past and looking forward to the future! 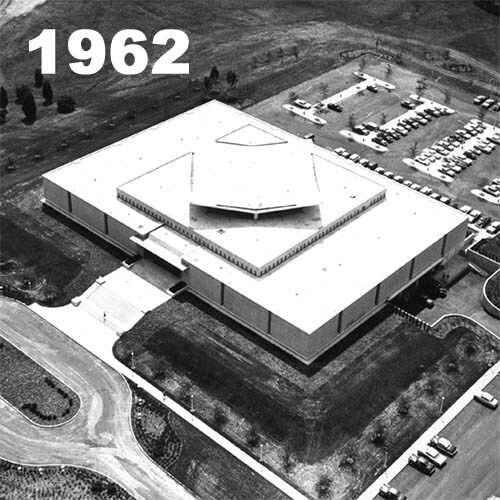 1962: The library moved into its new building on the National Institutes of Health campus. 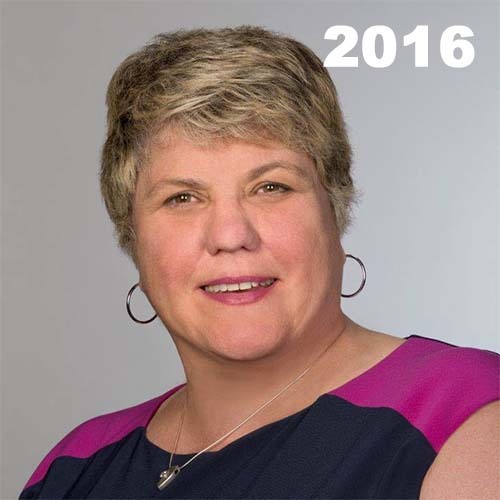 2016: Patricia F. Brennan, RN, PhD, became the first woman and the first nurse to be appointed library director. 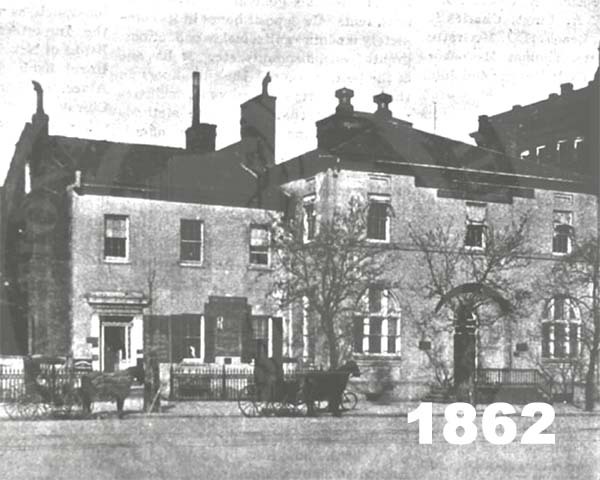 1862: The Surgeon General’s library was moved to the Riggs Bank Building at 15th and Pennsylvania, NW, in Washington, DC. 1865: John Shaw Billings, MD, a 27-year-old lieutenant colonel, pathologist and bibliophile, was assigned to supervise the Surgeon General’s library. 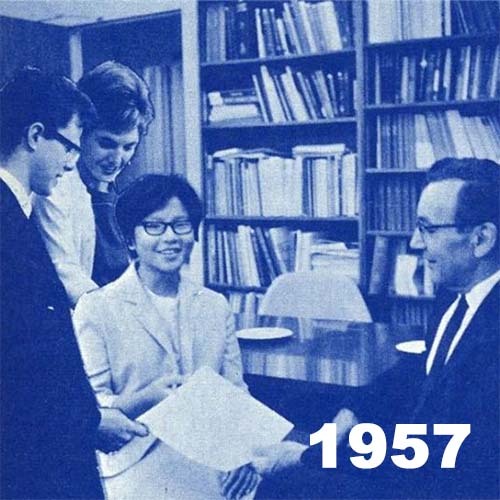 1957: A library internship was established to provide post-graduate training in biomedical information services. 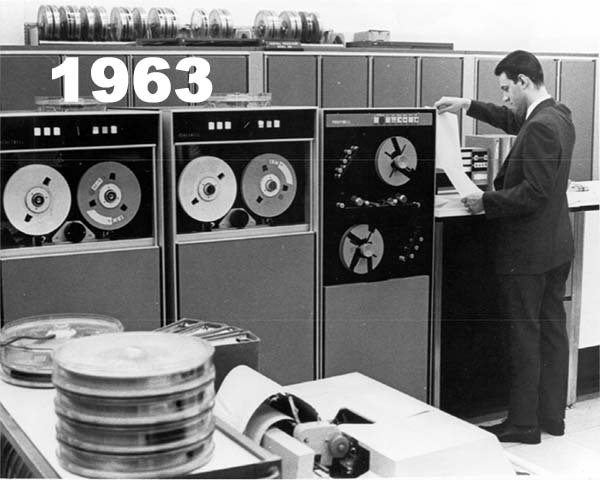 1963: NLM acquired a Minneapolis-Honeywell 800 computer to support the automation of library functions. 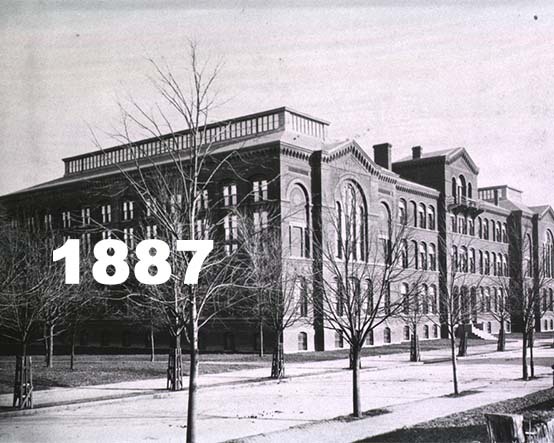 1887: The library and the Army Medical Museum moved to a new building constructed for them on the National Mall, next to the Smithsonian Castle. 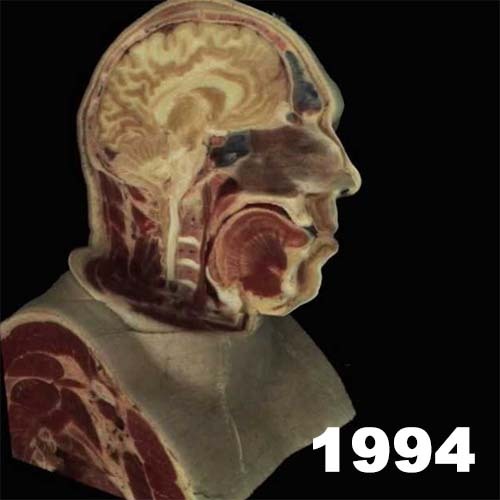 1994: The Visible Human male dataset was released. 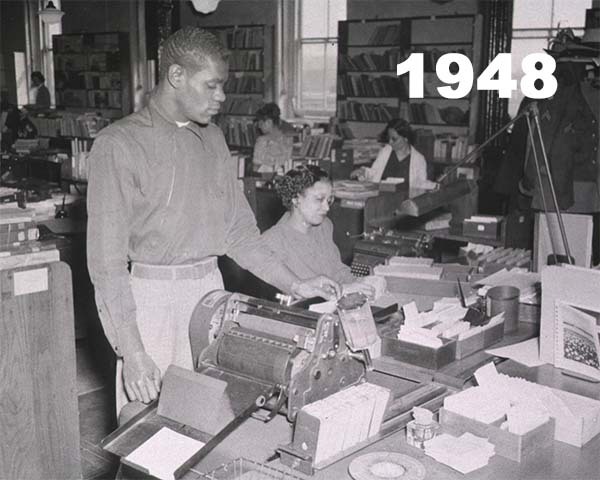 1948: Library staff created catalog cards using a duplicating machine. 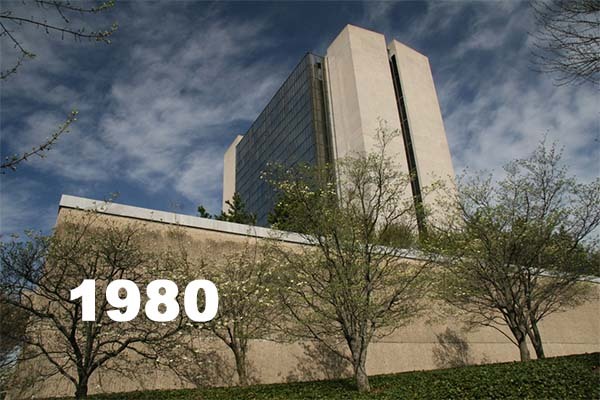 1980: The Lister Hill National Center for Biomedical Communications building was dedicated.